The PackSeat™ portable stool is a quick and easy way to “take a load off” – just about anywhere. The Shock-Cord Construction™ snaps the legs into place for set-up in seconds. For added strength and grounded leg stability, the PackSeat™ portable stool features a patented Anti-Splay Reinforcement Panel™. The PackSeat™ portable stool is constructed of sturdy, powder-coated aluminum frame, which makes it ideal for any outdoor activity including camping, bird watching, hiking, fishing, traveling and sporting events. 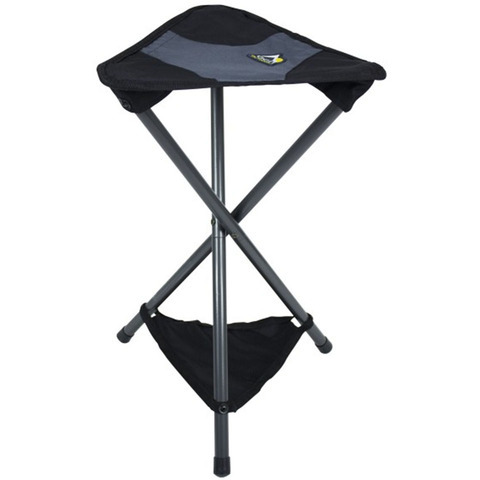 Its stability and packability makes it a great choice as a portable golf seat. Includes a carry bag with closure strap, buckle and carabiner for hands-free portability. Small and lightweight, the PackSeat can be attached to any bag or belt buckle by the handy carabiner or stashed in a tote or suitcase.